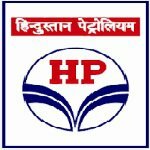 Bihar HPCL Mechanical Engineer recruitment 2016-17 apply for 138 posts : Hindustan Petroleum Corporation limited (HPCL) welcomes application for the position of 138 General Manager, DGM, Mechanical engineer, Accounts officer, HR / Welfare officer, safety officer, Marketing / sales officer EDP officer and various vacancies. Candidates who completed their BE, B.Sc., Degree, Diploma, BCA, CA, ICWA, MBA, PG, Graduation, M.Sc. Matric, ITI is a good opportunity.The individuals who are the occupation seekers searching for govt employments in Bihar this is the best chance to apply. Competitors read the official notification then read all the guidelines and miners precisely then apply before the last date online application got. All the interested and eligible candidates can walk – in – interview from 8th August 2016 to 26th August 2016. Candidates Age Limit: The age of the candidate should not be less than 18 years and should not be more than 57 years. Salary: The salary of the candidate will be according to HPCL norms. Academic Qualification Details: Candidates should have BE in either Mechanical / Electrical / chemistry engineering with NSI / VSI. Process of selection for the job: The selection of the candidates will be on the basis of walk – in – interview that will be held at HPCL biofuel limited, house No 271, road no 3E, New Pattipura colony, Patna, Bihar – 800013. Academic Qualification Details: Candidates should have degree in chemistry engineering / B.Sc. in chemistry with NSI / VSI certification. Process of applying for the job: Candidates may appear walk – in – interview along with prescribed application form and attested documents of education qualification and original at the time of interview. Important Dates: All the interested and eligible candidates can walk – in – interview from 8th August 2016 to 26th August 2016.